Micro-electro discharge machining (EDM) plays an important role in fabrication of micro-parts and structures such as micro-holes. However, due to the micro-discharge gap between workpiece and electrode, debris in the gap cannot be flushed away effectively during machining process. Debris accumulation could cause a poor machining stability and low production efficiency for micro-EDM. 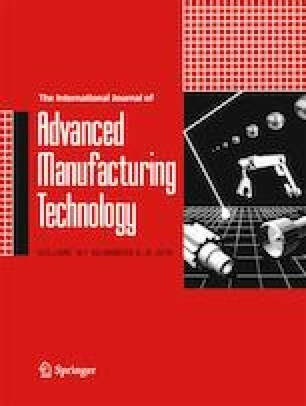 To address these issues, in this study, a magnetic suspension spindle system (MSSS) EDM possessed high response frequency was proposed to machine micro-holes in superalloy Inconel 718. The objective of this experimental work is to study effects of machining parameters on discharge percentage, material removal rate (MRR), electrode wear rate (EWR), and recast layer with high response frequency MSSS EDM. Experimental results reveal that compared to micro-holes machined by conventional EDM, discharge percentage increased by at least 30%, and arc percentage decreased by at least 11%. Hence, MRR increased by at least 23% and EWR decreased by at least 43%. The inlet and outlet diameters of the micro-holes were improved further and the recast layer significantly decreased by MSSS EDM. The experimental results demonstrate that compared to conventional EDM, MSSS EDM can be used to fabricate micro-holes on Inconel 718 with a higher efficiency and quality.